Good day from Augusta. Outgoing U.S. Rep. Bruce Poliquin continued to put Maine’s new ranked-choice voting system through its paces on Monday, when he asked for a recount of the November election won by Assistant Maine House Majority Leader Jared Golden. The Republican incumbent has cast doubt on the method, used statewide for the first time ever in Maine’s 2018 primaries and congressional general elections, in an uphill challenge in federal court and in statements around the counting that are partially unsupported by evidence. But the 3,500-vote gap between Golden, a Democrat, and Poliquin in Maine’s 2nd Congressional District will be tested in the first ranked-choice recount anyway. Here’s what it’s likely to yield. The recount will be an arduous process that could finish close to the end of the year, but it’s unlikely to change the result and Golden is still the congressman-elect. Since Poliquin lost to Golden by a margin of more than one percentage point in the ranked-choice count, he will have to pay for the recount unless it reverses the outcome of the election. Secretary of State Matt Dunlap’s office estimates that the recount could take four weeks, which would put a resolution in the second half of December if it gets under way soon. It hasn’t been scheduled yet. State rules govern the recount and it will be a grueling process. All of it will be done by hand, with ballots first sorted by first-choice votes. Those would be counted and recorded. 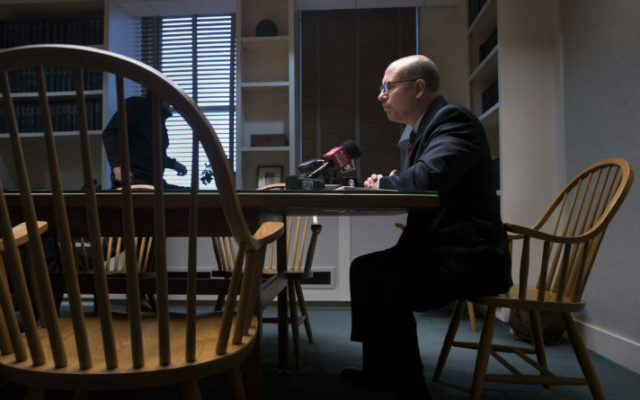 Then, the ballots on which neither Poliquin nor Golden were selected as first choices would be counted and recorded and municipal totals aggregated. It’s also unlikely that much changes. The median swing in 27 statewide recounts between 2000 and 2015 was just 219 votes, according to data collected by FairVote, an electoral reform group. Dunlap told WGAN on Tuesday that the 2nd District margin is “really the Grand Canyon,” though he conceded that “everything is new and we’ll find out for sure when it’s done.” Golden’s margin increased by more than 600 votes from the last count after Dunlap’s office said results from six towns didn’t upload properly into the system. Golden’s campaign said Monday that he is in Washington, D.C., this week for orientation activities. The U.S. Constitution says each house of Congress is the judge when it comes to seating its own members. The recount isn’t going to change things unless it changes things. “This is about making sure every Mainer that goes to the polls knows that he or she is casting his or her vote legally and making sure that vote is counted accurately,” Poliquin told reporters in Portland on Tuesday. There is no evidence that votes weren’t counted. Dunlap’s office has published the cast vote records on its website, showing every ballot that was counted. Manuel Alvarez-Rivera, a Puerto Rican elections wonk, has posted the number of different combinations of votes in the election on his website. According to that data, the most popular combination in the 2nd District was the one used by more than 81,000 people — including Poliquin himself — who ranked the Republican first and ranked nobody else. That high number of Republican voters who didn’t rank underlines the partisan divide on ranked-choice voting. Exit polling conducted by the Bangor Daily News and paid for by FairVote found that nearly 81 percent of Democrats wanted to expand the use of ranked-choice voting while 72 percent of Republicans wanted to stop using it. — The outgoing Republican district attorney on the Midcoast is set to become a Cumberland County prosecutor. District Attorney Jonathan Liberman, 33, who was beat on Election Day by his Democratic challenger after just a year on the job, is expected to be appointed assistant district attorney in the state’s busiest prosecutorial district after he leaves office in January. Liberman, who was appointed district attorney in 2017 for Sagadahoc, Lincoln, Knox and Waldo counties after serving as an assistant district attorney for years, was defeated by newcomer Natasha Irving, 35, who ran on criminal justice reform. — An Edgecomb school founder and acclaimed educator who pled guilty to shoplifting will receive a suspended sentence. Judge Paul D. Matthews cited mental illness Monday when he sentenced Nancie Atwell, 67, of Southport, to a four-month suspended sentence and one year of administrative release for seven counts of misdemeanor theft. In 2017, while on a deferred disposition for a 2016 theft, Atwell pleaded guilty to shoplifting on six different occasions. Lincoln County prosecutor Katherine MacRae called the Monday sentence “one of the most lenient the state provides.” Atwell, who in 1990 founded the Center for Teaching and Learning in Edgecomb, was awarded a prestigious $1 million teaching prize in 2015 known as the “Nobel Prize for teaching.” The money was given to the school. — Parts from this Biddeford company will be launched to Mars in 2020. Fiber Materials, Inc., which makes high-end composite materials, is making heat shields to outfit the next Mars mission, an SUV-sized rover designed to explore the red planet. FMI previously manufactured heat shields for Curiosity, the rover that landed on Mars in 2012. A spacecraft on Monday known as InSight, made by Lockheed Martin, successfully landed on the planet’s surface. For the mission in two years, FMI is collaborating with Lockheed Martin and NASA on the project. Though I cannot consider myself a Mainer until my future children’s children have children, and probably not even then, perhaps the most Mainer-esque qualification I will fiercely defend is my resolve to deal with the sheer magnitude of snowfall I now live with, as a Maine transplant from Kentucky. People lose their minds in my hometown of Owensboro if a dusting is predicted but hasn’t yet fallen. By lose their minds, I mean stare wide-eyed out the front door while clutching their children before they get on the school bus — assuming school hasn’t been preemptively cancelled, which it often is. Grocery shelves are almost always cleaned out prematurely, my mom will report back to me. And if snow has already started to fall, all bets are off. Two Christmases ago, when half an inch was predicted on Christmas Eve, my uncle John was supposed to drive the 12 minutes from his house in the city to ours in the county. He canceled because of a worry that the roads would become too slick. Snow never fell. I traveled home for Thanksgiving, like most, and my family asked the routine questions — am I still enjoying Maine? Oh, you just moved to Belfast? How do you like it? And then, with twisted expressions, they ask about the snow. “Has it started?” my grandmother Patti, who just turned 80, said. “It has,” I responded. Though I gently chide them often, I’m endeared by adults becoming incapacitated by precipitation, because when summer heat comes back, I’ll put my foot in my mouth. Kentucky summers, which some in my family wear jeans through, are an oppressive hell that would melt most Mainers. Today’s Daily Brief was written by Michael Shepherd and Alex Acquisto. If you’re reading this on the BDN’s website or were forwarded it, click here to receive Maine’s leading newsletter on state politics via email on weekday mornings. Click here to subscribe to the BDN. To reach us, do not reply directly to this newsletter, but email us directly at mshepherd@bangordailynews.com or aacquisto@bangordailynews.com.